Interim athletic director Bruce Werner returns to American River College after 14 years away. He was hired to the position after the retirement of Greg Warzecka and will serve in that position until Nov.1. (photo courtesy of American River College). Even though he had been away from American River College for years, Bruce Werner made sure he checked the box scores for every sport. Werner, who was the dean of athletics from 1979 to 2001, has returned as the school’s interim athletic director until Nov. 1 in place of Greg Warzecka, who retired last month. Having spent 22 years at ARC, Werner said he became connected to the school. 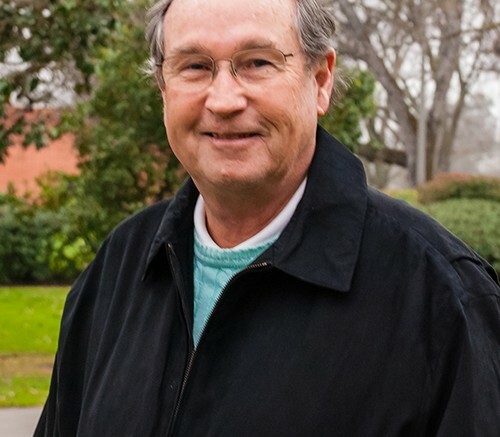 Prior to coming to ARC, Werner was a football and tennis coach for Chabot College for 13 years, and won an award for coaching and administration. Werner said he enjoys working with students as a mentor, teacher, and as a “sounding board for people with problems”, even having a reunion in June for his 1966-1967 tennis team. During his time at Chabot College, Werner was a charter member of the California Community College Tennis Coaches Association, later becoming a part of its Hall of Fame. While at Chabot, Werner and nine other faculty members founded an education center that eventually became Las Positas College, according to the California Community College Athletic Association. Werner said the job he has allows him to become invested in the program as a whole. “It was my first community college job, so he was instrumental in helping me become a good professor. (He was) very clear in what he expected of people and he gave us good info on how to improve,” said Maero, adding that he often encouraged his staff to be on committees and to go to conferences. Maero also described Werner as being a very enthusiastic person who people want to work hard for. Werner was part of a successful attempt to block the defunding of community college PE classes in the early 1980s and was named the Physical Education Administrator of the year. According to assistant athletic director and men’s track and field head coach Rick Anderson, Werner was always involved in various fundraisers around ARC. This included being a part of the “hoop it up” fundraiser, which came to ARC in May 2000. Be the first to comment on "Former Dean of Athletics returns to ARC after 14 years"